William Verpo Taylor, son of Charles Alexander and Louisa Jane (Curtis) Taylor, was born March 30, 1880 in Winston County, Alabama. 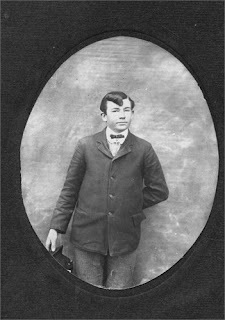 His given name "William Verpo" suggests that he was named after William Verpo Curtis, one of nine sons born to Solomon Curtis. 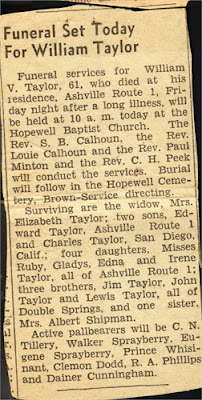 The Taylor and Curtis families had several connections throughout the years. William Verpo married Sarah Elizabeth James, daughter of James Henry and Mexor Evelyn (Walker) James. 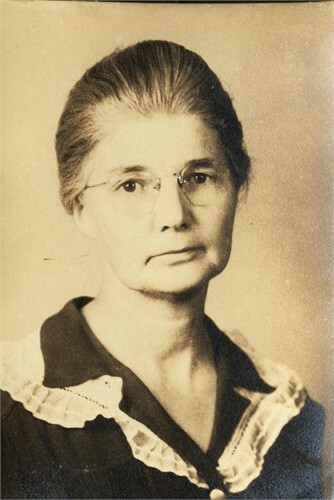 William Verpo and Lizzie made their home in Saint Clair County, Alabama. He died of pulmonary tuberculosis at the age of 61 on May 9, 1941 in Ashville, Alabama. 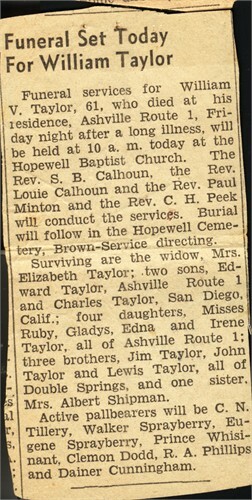 William Verpo and Sarah Elizabeth Taylor are buried at Hopewell Cemetery, Ashville.